Can Colton and Paige endure everything in fate’s path? Or will Paige give up her one true love to give Colton the life he deserves? Read Enduring Fate for free on Kindle Unlimited. Colton Kingston’s livelihood has been reduced to a pile of black ashes by a tragic act of arson. After sending away the woman he has loved since the tender age of five, a hateful dark revenge threatens to overtake his heart. Colton knows pushing her away is the only way he can keep her safe. Paige Summers has endured her fair share of obstacles in the past and refuses to give up Colton and the life they have shared together. As interferences try to tear them apart, Paige is determined to stand by Colton’s side and remind him of their love and its strength. But at every turn, tragedy continues to strike, and more devastation falls upon them. Read Boundless Fate for free on Kindle Unlimited. Colton Kingston is set on rebuilding his ranch to what it once was before his livelihood was diminished to a pile of ashes from a revengeful dark act of arson. His brothers at heart are there with him every step of the way to help pick up the pieces of the old and replace them with the new. Paige Summers finds her inner strength to battle through her burdens of taking another person’s life. Standing in her rightful place by Colton’s side, she’s finally holding her own and living her dream of training horses. Together, Colton and Paige have endured their fair share of obstacles and tragedies, and it has only made them stronger. With Hank Ulrich out of their lives, Colton is determined to make Paige, the girl he’s loved since he was five years old, his wife—forever. But as one door closes, another opens, and a new danger is lurking in the shadows, threatening to stand in their way. Will Colton and Paige’s love be endless, the way it was always meant to be? Or will a new devastation fall upon them and ruin their fate? 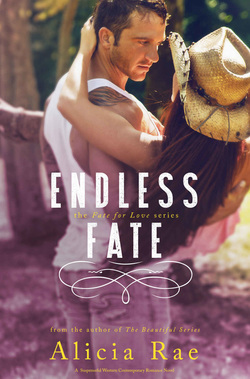 Read Endless Fate for free on Kindle Unlimited.